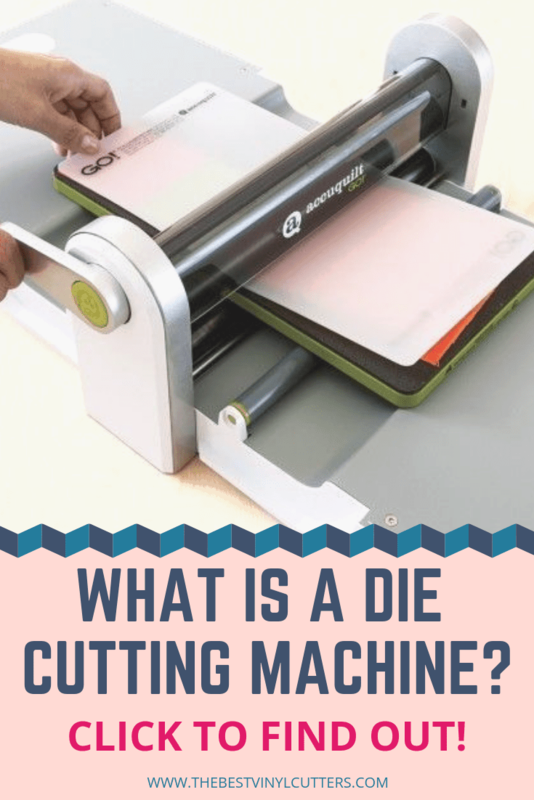 Are you Wondering What a Die Cutting Machine is? A Die Cutting Machine is a brilliant crafting tool to invest in! 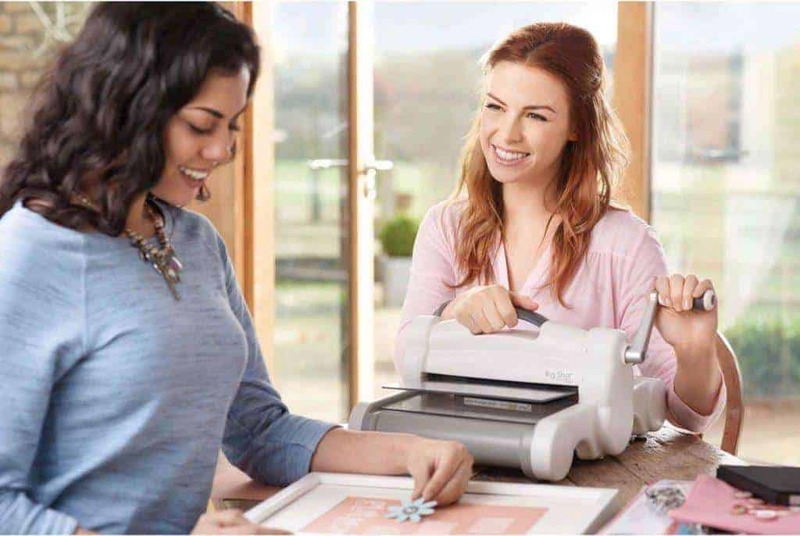 If your favorite crafts include sewing, scrapbooking, or card-making you will most likely love this fabulous time-saving device just as much as we do. To get you started, we have created a quick die cutting for beginners guide to look at the most common questions: ‘What is a die cutting machine?’ and ‘How do I use it?’. Please read until the end of the article where we will help you figure out which type of cutter is the right pick for you. A die cutter is a highly effective tool to have and is specifically designed to cut an array of materials (such as paper, metal or fabrics) to a specific shape, such as flowers, labels, hearts, swirls and more. Here is a great article looking at trendy things you can make with your die cutter. As an example, this layout below is using die cut flowers for embellishment. You can then use these beautiful die cut shapes for a variety of craft or DIY-related projects. They are fabulous for scrapbooking, card-making, quilting, and /or decorations for any type of event occasion (think invitations, party bag labels etc.). It is important to know that there are two main types of machines that can be used. They function very differently from each other, so we will outline both to help you choose which would be best for you. Find below the two types of cutters: Manual vs Electric. A manual machine works manually with a crank (with some good old arm power). An easy comparison is to compare a manual machine to a simple paper punch. The beauty of a machine though is that you only have to purchase one device and then you can purchase dies (the shapes you want to cut) separately so that you can cut a large variety of shapes with one machine and multiple dies. Cutting dies come in a variety of shapes, sizes, and designs. Whilst manual machines are much cheaper than digital ones, the cost of the dies can add up quickly over time, which is why we prefer digital die cut machines instead. However, the beauty of a manual machine is that they can emboss your paper or cuts as well and typically these machines are perfect for beginners due to the fact that they are so easy to use. It is a very simple process to use a manual die cutter. Essentially you create a ‘sandwich’ by placing your die on top of your paper (or cardstock, felt or fabric) and you sandwich these between the cutting plates that the machine comes with. And then you manually crank this sandwich through your machine and you end up with a beautiful cut shape at the end. 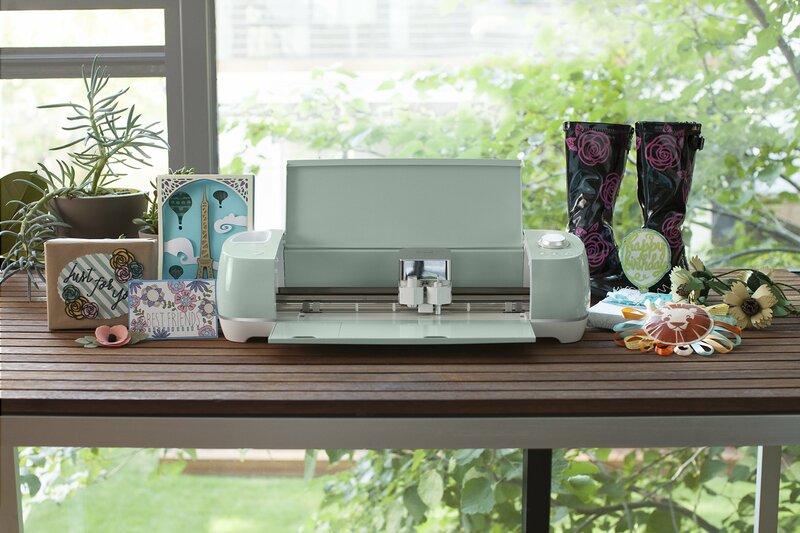 The Sizzix Big Shot Die Cutting Machine comes with all the platforms and plates that you need to get started with die cutting. The unit itself measures approximately 14 1/4″ x 12 3/8″ x 6 5/8″, which means that it is small and lightweight enough to port around from one place to another. The machine works with dies and can also emboss with folders as well! You can read our full Sizzix Big Shot review here. Digital machines are brilliant but obviously more expensive than the manual ones. These days, electronic machines function with software that has been specifically built to help you design and cut your die cut of choice (so possibilities are endless and not just limited to dies). Note: Older digital machines still make use of cartridges (which is a preloaded device that has an array of designs that can be plugged into the machine), which means that you would need to purchase your ‘die cut’ library cartridge and load it up into the machine in order to use it. But we recommend staying away from these machines, as you end up spending way too much money on cartridge purchases, and you are limited to the die cut shapes and elements of these cartridges. Materials are cut similarly or closely in the way a printer prints. Ultimately while using this machine, your designs will be sent directly to the digital cutter from your computer or tablet, where your created designs are made. The process is much different from using the manual die cutter. In the computerized or digital machine, you will not be using a physical die, but the software will do the cutting for you. You can select designs from images via computer and select the design to cut from the machine. And then simply wait for the machine to do its magic. Note: There are several computerized digital die cutting machines that can do more than cut. There are models that can score, stipple, emboss and draw while making the die cut. The Cameo 3 is Silhouette’s bestselling cutting machine. 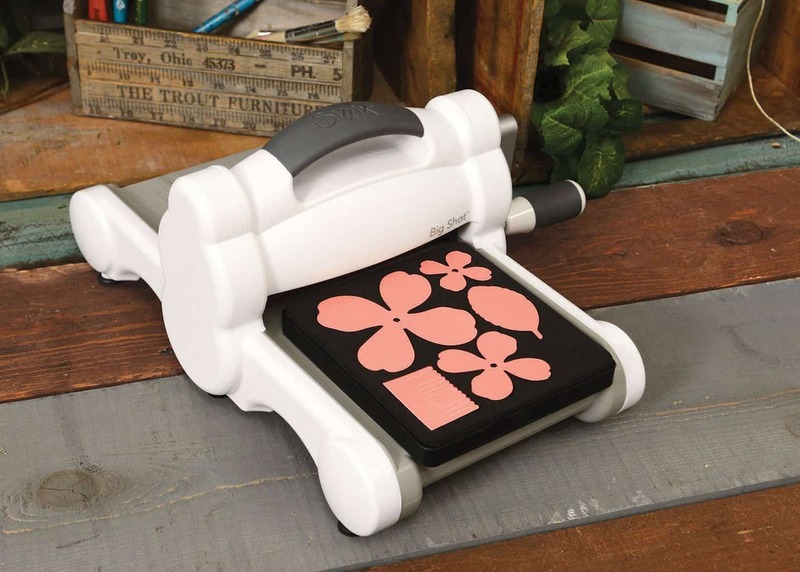 It is a very popular die cutting machine amongst paper crafters, and perfect for custom die cuts. The machine has some fabulous specs and features, some of these features include dual carriages, bluetooth functionality, and an upgrade to the much-anticipated Silhouette Studio 4.0 Software. This nifty machine has the ability to cut over 100+ materials and is our favorite personal vinyl cutting machine in 2018! You can read our full Silhouette Cameo 3 review post here. So which type is best for you? If you are starting out with papercrafts, we recommend that you start off with a manual one. They are cheap and you if you grab a bundle deal you will have a great selection of dies for a value price. The beauty of manual machines is that they are cheap, they are portable and easy to store, they can cut and emboss and they are super easy to use. If you find that you are making regular use of your manual die cutter, it might be time to upgrade it. Digital machines are fabulous as they can save you loads of time. Instead of cranking a handle, you can leave the machine to do its work whilst you get on with crafting. We love digital machines because you can download or create any shape or design and get the machine to cut out it. You can find small digital machines that are portable if you wish to take it to workshops or retreats. And some of the cutters can also emboss as well. For more help, please hop over to our detailed die cutting machine comparisons guide to see all the top machines and to learn more about each one of them. I’m hoping that you have a better understanding of machines for die cutting are, and that you have some sort of an idea of what type of machine you would like to purchase. Please leave us a comment below if you still need some help.